Zayo Group (NYSE:ZAYO) postponed its analyst meeting that was scheduled for next week due to the company’s board and management considering other ways to bolster shareholder value. The Boulder, Colo.-based internet service providers company said that it will no longer be holding its March 14 meeting as it needs more time to explore the alternatives to add shareholder value. This exploration of its options is expected to take at least a few weeks, but perhaps months. 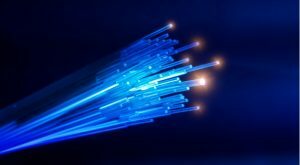 Zayo Group’s announcement comes off the heel of reports claiming that the business is attracting investor interest in regards to its fibre infrastructure assets. This is a continuation of the company unveiling last year that it planned on splitting into two companies, with the first taking control of its network infrastructure, while the other paid heed to its managed services. The business added that its plan is to focus on its infrastructure business, which regularly brings in positive cash flow and strong margins. “Whether public or private, this will remain Zayo’s focus and we will continue to expand the depth and breadth of our fiber infrastructure,” said CEO Dan Caruso in a statement. Late last year, some reports suggested that the company has attracted interest from private equity and investment funds regarding a takeover. Hedge fund Sachem Head Capital Management reportedly wrote to Zayo, asking it to explore a sale. ZAYO stock is up roughly 12.4% on Wednesday following the news. Article printed from InvestorPlace Media, https://investorplace.com/2019/03/zayo-group-news-zayo-stock/.